Click the link below to see more details on the exploration drilling in Tyringham/Dundurrabin being carried out by Anchor Resources. 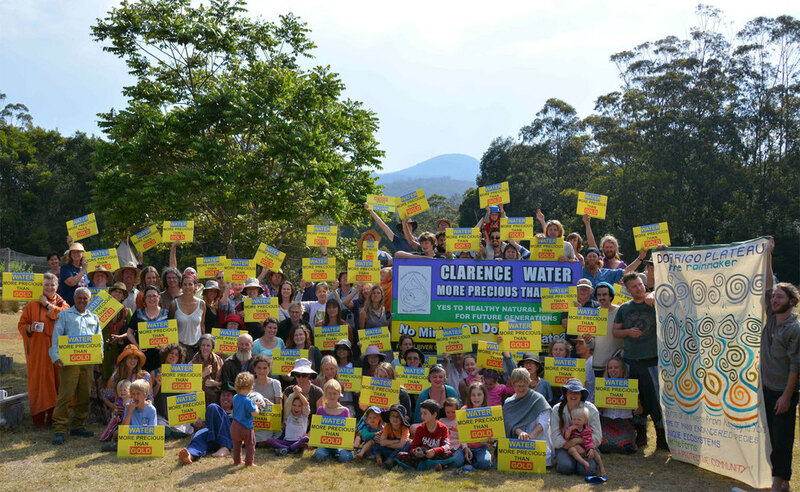 Blicks River Guardians had proposed to hold a public meeting in Grafton on Saturday 15th March this year to highlight the issue: Mining in the Headwaters of the Clarence: What does it mean for you? The meeting has been postponed and we have decided instead to focus our attention on several other ways to get in touch with those who may be affected by exploration and mining activities in this area. By compiling videos of various speakers and putting these videos on our website and on Facebook we hope to reach a larger audience. We could hold smaller meetings directed at specific groups within the community who are interested to hear more about the ongoing exploration for minerals in our region. If you belong to such a group please go to our “Help Us” page and let us know by filling in the contact form. It’s important to get our message to all the Clarence River communities, advising the potential risks to agricultural land and water, tourism and the fishing industry, drinking water for coastal populations, and the impact on nearby World Heritage Areas, threatened species and public forests. We also want to focus our attention on surveying our local community to gain an awareness of their opinions on this important issue and to inform those unaware of the extent of the exploration licences and possible implications. We’ll also continue our attendance at markets in the local area and surrounds. As a small local group we have to use our time in the most effective way possible. Organising a large public meeting is something to aim for in the future. If you were planning on attending our Public Meeting we’d love to hear from you – just fill in our contact form on the “Help Us” page and let us know how you feel mining activities in the Clarence Valley catchment area could affect you and your friends, neighbours, businesses and colleagues. Make you own YouTube or Vimeo clip and send us a link if you’d like to express your views in that way. Use our website and its links to learn more about this topic. 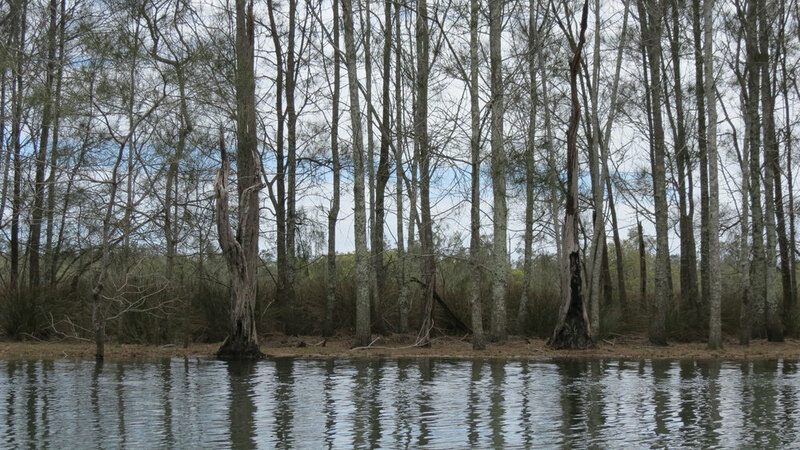 See the following Blog Article on "Reconnection with Nature" for images of the Clarence River. Water. More Precious than Gold. The Clarence River is the biggest volume waterway in Australia. 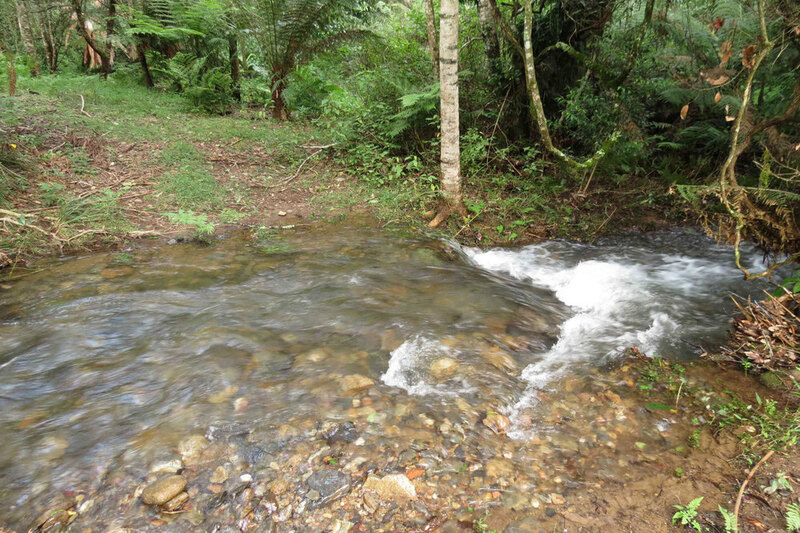 I’ve felt the tangible connection between here and home, where a spring-fed creek bubbles through the bottom of my garden in the rainforest, to where I’ve been exploring today; the tidal Clarence—green aqua of mangrove forests, so exotic! It is so important to me to protect this river system from the fountainheads to the sea. I cannot believe that we are having to fight our governments, our police, our media before we can even begin to hold big businesses accountable for CRIMES AGAINST NATURE! It's INSANITY! Being in nature exploring, enjoying, gives so much to the soul. 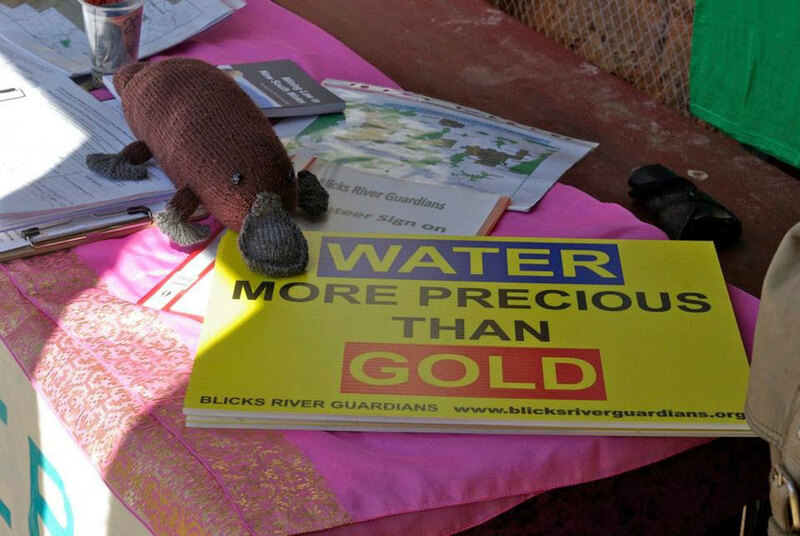 Our local community member "Buffalo" displaying the Blicks River Guardians' sign "Water. More Precious than Gold". Dundurrabin Community Centre hosted the Franklin Horse Riders who are riding their horses to Canberra to oppose water pollution from mining.